These are great blog criteria. Basically, if it’s not useful, if it’s a weak opinion, or if it makes unsupported claims, it’s probably not good. This makes sense. Then I came across something in a book called Elements of Content Strategy by Erin Kissane. Erin explains how good content works by relating to the context of the reader. 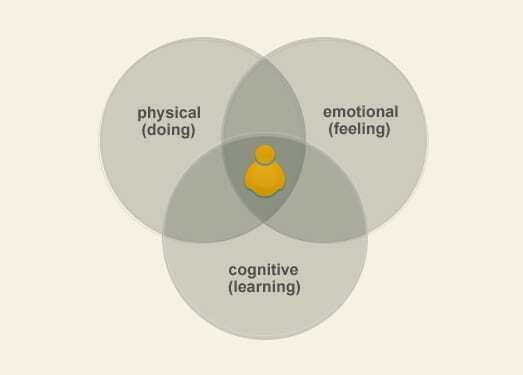 There are three elements: physical (doing), emotional (feeling), and cognitive (learning). Sound familiar? The three blogging criteria recommended by Sebald align perfectly with the user contexts described by Kissane. The reader can DO something. It’s practical. There are steps they can take. Actionable posts lend themselves to list formats, which makes a post more scannable and reader-friendly. Example: How to Write a Blog Post That Ranks High. If you want to teach something, you need supporting evidence. Facts, research, and expert input make your assertions more believable. You felt something while you wrote it. It’s your voice and your opinion. It means something to you, good or bad. If you don’t care, why would your readers? Give instructions: The step-by-step instructions (such as this one), a list of action items, or ‘How to’ posts are extremely popular for a good reason: the goal is to help the reader. Example: SEO Best Practices: On-Page SEO Checklist. Add examples: If you make assertions but don’t give examples, you may be making unsupported claims. This is why Harvard Business School focuses on case studies. Without proof, it’s just academic. Add examples, surveys, statistics, quotes, screenshots, and any other supportive content. Honor your readers’ time by aligning content with at least one of these blog criteria, especially if you’re creating an email newsletter. They may reward you with a return visit. Got an example of a post that meets these blogging criteria? Share the link in a comment below. Good rules to live by for blogging. Seems like we could apply these rules to many business activities like meetings and emails. All would be more effective if they were actionable, based in facts, and on topics that got us fired up! I am going to put this as part of my content checklist: Things to look at before I write! Andy, great post. So much of this applies to general storytelling craft too. Well done. @AndrewJStein Good point. Any content in any format need to align with the context of the reader or viewer, including books, movies, TV shows, newspapers and anywhere else where words and images are trying to catch (and keep) our attention. Another awesome post as always, Andy. Great job! Great post! Now I want to check out the book by Erin Kissane. Also agree with Andrew the criteria applies to so much more than blog posts. Thanks for sharing. @Sue Reddel It’s an outstanding book and it’s under 100 pages. Concise and very actionable. Just what you’d expect from a content strategist! Andy/ orbiteers Good post! Here’s a recent blogpost of mine that I revised based the ideas presented here. I removed some qualifying statements and had some fun in warning people about bad spreadsheet development. Great stuff. And perfect for your audience. @crestodina orbiteers Thanks Andy, and thanks to Orbit. We’re gonna make the internet orderly and useful … with fun and attitude. This is SO helpful!!! Thank you! The Trinity of blogging! This definitely applies to any kind of communication, now off to get the book (Elements of Content Strategy by Erin Kissane). 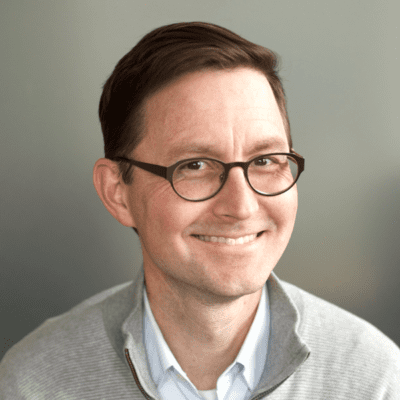 Thanks for this post @crestodina it was most useful! Btw I think you might find it interesting to know that I followed you from your post on Spinsucks (http://spinsucks.com/marketing/ring-your-best-web-marketing-tool-is-calling/#more-13222) checked out your google plus profile and then landed on this article 🙂 Funnily we’re connected on G+ and I’m not certain how, I’m guessing it was via a circle created by Dave Gray. @CourtneyRamirez Thanks for the note, Courtney. Glad you liked this one. Hope to see you here in the Orbit blog again soon! @crestodina Thanks Andy! It’s on my September list and I’m going to use this criteria for sure. Blog writing is an act that helps to provide quality of content for our websites especially for blog pages. But we are just wondering what techniques and quality are being used in a blog writing process by a blogger, so here we can found some best criteria for writing great post, I was really thankful towards this post and I would also like to follow certain guidelines from here to serve a quality blog post. I agree with your criteria. Please visit earlyretirementat55.com blog. I think that blog meets all your criteria.